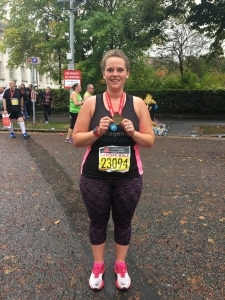 Becky, one of the team here at Burnham Portable Toilet Hire has recently joined a running club. We like to talk about other things as well as toilets! The club is Highbridge Ladies Running Club, established in April 2017. The run leader is Emma Wood, whom, amazingly gave up her time and effort to see if the local ladies of Highbridge had it in them to run. Founded in April this year Emma answered an advertisement by SASP Somerset Activity Sports Partnership and Knightstone Housing asking for a run leader to help set up this amazing running club. These above organizations helped form this wonderful club and with Emma at the front wheel it was born. In April this year, 30 local ladies attended the 6 week beginners programme (Becky being one of them). When the ladies arrived they never thought that they would be able to run a minute, let alone 6 weeks later making a debut at Burnham and Highbridge Park Run. Yes in 6 weeks they were able to run the 5k route! So out of this came a community of ladies, who couldn’t run, can’t run and now we are runners! Emma has an amazing support network of friends (that already run) that gave up their time to come and help us ladies. Emma believed in us all and the friendships that have been formed is amazing. We have our own running family. The club now had to grow to include its own run leaders, so, Becky, Christine Picton, Tracy Venning, Amanda Smallwood and Mandy Brown all local ladies went on their travels to Exeter to complete a course to become run leaders, so by the 04th June 2017 the club now had six run leaders to move it forward. The club was receiving so much interest that it held another beginners group in June, which was again a total success. It was fully booked within hours of it being advertised. This helped us achieve the Runtogether club of the month for July. 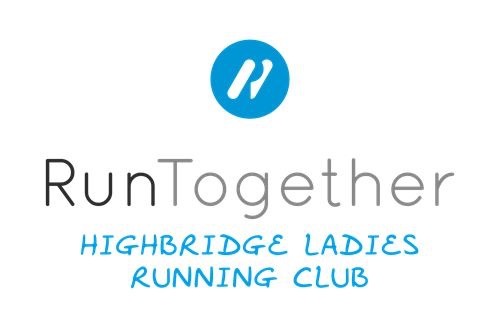 So ladies of Highbridge are now running twice a week with ladies taking on challenges of their own, race for life, 5 and 10k races. A few of them had a chat and with a bit of arm twisting signed up for the Cardiff Half Marathon. So ladies that 6 months before who could not run for a minute are now running 13.2 miles! Highbridge ladies took 10 ladies to Cardiff, Becky being one of them and they all completed their first half marathon. 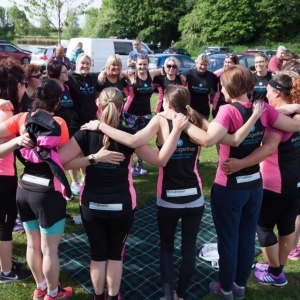 Here at Burnham Portable Toilet Hire, we are not only proud of Becky and the other wonderful ladies completing such a task, but we love supporting out local community and anything that brings people together for a happy, healthy lifestyle. Long may Highbridge Ladies continue to grow and flourish. This girl can! Congratulations Becky!